Home and business owners in Arizona appreciate the value of keeping their buildings in good condition. In addition to maintaining their buildings’ interiors, they also pay attention to the conditions on the exterior of their homes or businesses. When they notice that their roofs are becoming compromised, people may wonder at first if they can take steps to prevent further damage. 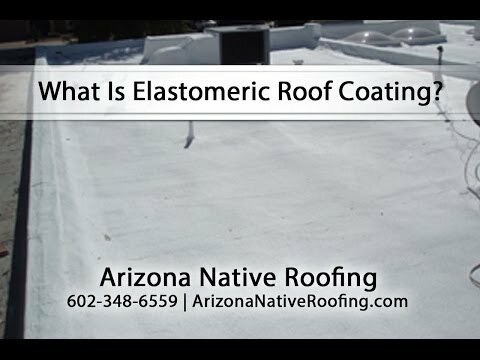 Rather than pay for costly repair services or purchase roofing supplies that may not be needed at that particular point in a roof’s life, people can instead choose an elastomeric roof coating. This coating can prevent a roof from suffering further damage, such as cracks, holes, and leaks. It can also add longevity and cosmetic appeal to a roof that otherwise would become useless and ugly. When people in Arizona are ready to save money and make a wise investment for their building, they are encouraged to consider using this material. They will discover that it benefits their roofs by penetrating the roof surfaces down to the granular level. Moreover, it can add environmentally beneficial components to a building, as this material performs well in all types of weather. Rather than cracking or breaking in extreme temperatures, it expands or contracts as needed to match the weather. Peoria residents want to enjoy their homes and businesses without having to worry about paying for costly repairs. They are often interested in taking preventative steps rather than having to invest in expensive repair services in the future. When it comes to their roofs, Peoria locals regularly inspect this part of their homes and businesses for signs of damage, including cracks, holes, and leaks. If they see such damage or suspect that this wear and tear is imminent, they can invest in elastomeric roof coating to make their roofs last longer and prevent significant damage from taking place. This material can be used on any kind of roof and on any type of roofing material. Because Arizona is known for its extreme weather, many residents are fearful to invest in roofing materials that will not perform well in hot or cold temperatures. However, this coating soaks down to a roof’s granular level and expands or contracts as needed to complement the weather. On extremely hot days, the roof’s coating will expand to prevent cracks and holes from developing. During cold weather, the coating will restrict to halt the roof’s surface from breaking. Moreover, because it performs well in all conditions, this coating can add appeal and longevity to people’s roofs. Elastomeric coating is a rubberized roof paint that protects the roof against the Sun and elongates the life out on an existing roof. Keeping a roof in good condition does not have to be an expensive endeavor for Scottsdale home and business owners. While significant damage, like cracks, leaks, holes, and other substantial wear and tear, can be expensive to repair and should be left to professionals, minor issues and preventive car can be entrusted to the buildings’ owners themselves. Even so, taking preventative measures and repairing smaller issues does not have to involve extensive physical effort. 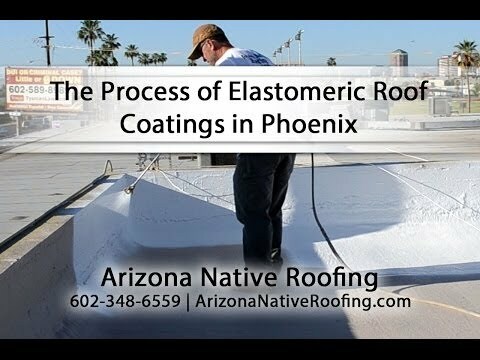 People in Scottsdale can choose Wickenburg elastomeric roof coating and be satisfied with this material’s performance and benefit to their roofs. Unlike other roofing materials, this coating does well in all types of weather and can be used effectively on nearly every building style. Even if a person has a tile roof, typically a material that requires special care, this coating can help maintain your Scottsdale roof and ensure its usefulness and longevity for years to come. It can penetrate to each tile’s granular components and seal off leaks, cracks, holes, and other damage that is about to happen. Further, because of its elasticity, it can contract or restrict as the weather conditions change. Paradise Valley home and business owners know the importance of keeping their buildings in optimal conditions. Letting their buildings’ exteriors deteriorate takes away not only from the appeal of their homes or businesses; it also detracts from the appraisal value of their buildings. Rather than suffer such a loss, people in Paradise Valley can instead choose to use a coating that will prevent significant damage and add longevity to their roofs’ usefulness. Moreover, because many owners are mindful of their buildings’ colors, they can enjoy the fact that this elastomeric coating is opaque and cannot be detected by its color. Aside from its ability to blend into any roofing surface, it also stops damage like leaks, cracks, and holes from getting worse. These types of damage can be expensive to repair. Even more, they cannot be repaired by most people on their own. Owners must hire professionals to repair their roofs. Hiring roofers to take care of leaks, holes, cracks, and other damage can be expensive and time consuming. It can pay for people in Paradise Valley to invest in materials that will prevent or halt such damage from occurring or becoming worse.